Mario Chalmers is one of the few thiefs who isn’t a must own. Welcome to another edition of The Hidden Truth. Today, we will take a look at steals. Here we have another fantasy category that is often overlooked, but is just as important as anything else. When you prepped for your draft, did you even look at steals? Would that even sway your decision for picking up a free agent? Do keep in mind that steals are usually a guard-oriented category; you do not get much help from your big guys. For that reason, there is no sense listing every centre in a list of dudes that don’t get steals. Instead, I will take you through three different lists. This is the cream of the crop as far as steals go. They are all lock-em-up fantasy starters every week, with the exception of Mario Chalmers, who is a borderline fantasy starter. Consider this group the board of the Thievery Corporation. 1. Chris Paul, G, New Orleans Hornets: – 2.7 steals per game. Besides stealing basketballs from fellow NBAers, he is stealing Right Guard money for those awful commercials. I don’t care about Paul’s pits. 2. Jason Kidd, G, Dallas Mavericks – 2.2 steals per game. J-Kidd may be a fading star in the NBA, but there are several things he still does well, and creating turnovers is one of them. 5. Mario Chalmers, G, Miami Heat – 1.9 steals per game. Chalmers is the lone rookie on this list. He has had a fairly solid freshman campaign beneath the wing of D-Wade, who has taught him a thing or two about NBA thievery. 6. LeBron James, F, Cleveland Cavaliers – 1.8 steals per game. What stat cat doesn’t King James fill? 7. Gerald Wallace, F, Charlotte Bobcats – 1.8 steals per game. Wallace is an ultra-athletic three man who contributes on both ends of the floor. 8. Baron Davis, G, Los Angeles Clippers – 1.8 steals per game. B Diddy could not shoot a beach ball into the Atlantic Ocean this year, but he still plays some D and comes up with loose balls. It also should be noted that he is stealing millions of dollars from Donald Sterling. 9. Ron Artest, F, Houston Rockets – 1.7 steals per game. Ron-Ron is a premier defender in the NBA who has always ranked high in steals. Even on one strong ankle, he’s still a stud in this cat. 10. Andre Iguodala, G, Philadelphia 76ers – 1.7 steals per game. Iggy helps your fantasy squad in many ways, including pitching in in the steals department. This is a list of guys that may surprise you with their theft ineptitude. If you have one of these guys, this does not mean you should cut or trade them. Simply realize that maybe you are lacking production in steals because of these guys. 1. Tayshaun Prince, F, Detroit Pistons – 0.5 steals per game. Prince is a lengthy defender that I would think would average at least 1.5 steals a game, but he’s never recorded more than 0.8 SPG in any one season. 2. Michael Beasley, F, Miami Heat – 0.5 steals per game. Beasley was dominant last year in college, but I am not really seeing the production and energy this year. That extends to the defensive end, where he has struggled at times. 3. Aaron Brooks, G, Houston Rockets – 0.6 steals per game. This lighting quick point guard is getting a chance to start now that Rafer Alston has been traded. It is a surprise, however, to see his steals down so far, seeing that he plays so fast and low to the ground. 4. D.J. Augustin, G, Charlotte Bobcats – 0.6 steals per game. This rookie is having a decent year, but has not gotten the steals one may think. His shot is starting to come around and he will improve his defense over the next few seasons, but don’t expect big steal numbers this year. 5. Raja Bell, G, Charlotte Bobcats – 0.6 steals per game. This is may be the most surprising guy on the list for me. Bell is a great defender but does not get steals, unlike Artest. 6. Steve Nash, G, Phoenix Suns – 0.7 steals per game. The aging Canadian national has never averaged over a steal a game during his stint in Phoenix. This may be a surprise to some seeing as how Paul, a guard with similar vision, averages over 2.5. 7. Richard Jefferson, F, Milwaukee Bucks – 0.7 steals per game. I would have thought that Jefferson would be over a steal a game, but apparently not. 8. Jamal Crawford, G, Golden State Warriors – 0.8 steals per game. Crawford is the ultimate gunner. He could give you 20 points, but he only throws in the occasional rebound, assist, steal, or block. 9. Ben Gordon, G, Chicago Bulls – 0.8 steals per game. 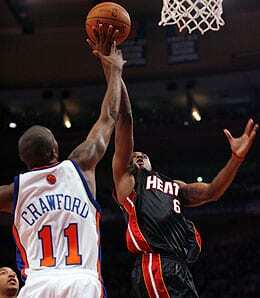 See Crawford, Jamal. 10. Al Thornton, F, Los Angeles Clippers – 0.8 steals per game. Thornton is an improving player, but does not get very many steals. He does average nearly a block a game, so he does have a defensive presence. Here is a list of guys that you can use for some spot starts or to fill in a hole. If you check you league standings and see points to gain in the steals department, it could not hurt to throw in a few spot starts with these guys, if they are available in your league. 1. Trevor Ariza, F, Los Angeles Lakers – 1.62 steals per game. Ariza has active hands and an improving perimeter game. 2. Ronnie Brewer, F, Utah Jazz – 1.63 steals per game. Brewer, who also made an appearance on the top FG percentage list, fills the steals category on a regular basis. 3. Delonte West, G, Cleveland Cavaliers – 1.49 steals per game. Now that Redz is back from injury, he is looking to contribute in points, assists, and steals. 4. Luke Ridnour, G, Milwaukee Bucks – 1.35 steals per game. Ridnour is sharing time with Ramon Sessions, but is a decent stopgap that can give you points, assists, and steals on a pretty regular basis. 5. Derek Fisher, G, Los Angeles Lakers – 1.27 steals per game. The Laker fans love Fisher, and so will you if you give him a spot start and he knocks down a few threes and throws in a few steals. 6. C.J. Watson, G, Golden State Warriors – 1.27 steals per game. It is always dangerous to mix fantasy basketball and Don Nelson. Proceed with caution. 7. Anthony Parker, G, Toronto Raptors – 1.24 steals per game. Parker is available in most leagues, and he puts up decent numbers, especially in steals. If I were Parker, I would never have time to get any steals because I would be too busy throwing up thinking about how Shelden Williams knocked up my sister. How gross. 8. Jamario Moon, F, Miami Heat – 1.13 steals per game. I think Moon could be a great fit in Miami. He could be worth a long term pick up if he continues to start. 9. Ronald Murray, G, Atlanta Hawks – 1.04 steals per game. Murray has been getting decent run lately. He can score and get you over a steal per game, too! 10. Jordan Farmar, G, Los Angeles Lakers – 1.05 steals per game. I think Farmar will start to get more and more minutes down the stretch. The Lakers will need him in the playoffs, and he provides energy, shooting, and defense on a pretty consistent basis. With all this said, steals is just another category that you should consider when making any fantasy moves. Most people, I would say, tend to ignore steals, but there are roto points to be gained by those who pay attention to….The Hidden Truth.